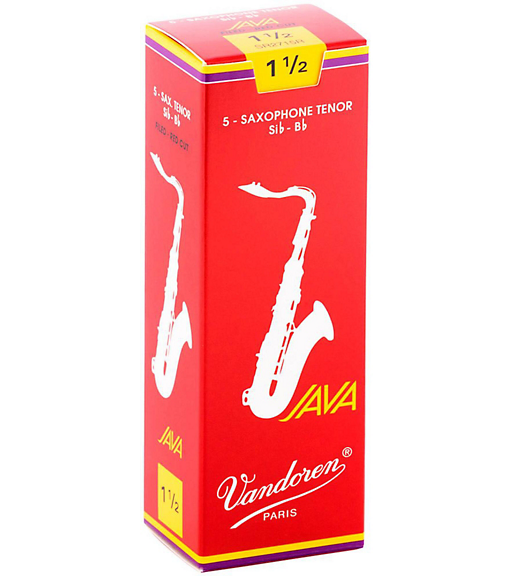 Vandoren Java Red tenor saxophone reeds are Vandoren's first file-cut jazz reed, Java Red reeds have more flexibility and tonal body and produce a full, rich, centered sound with phenomenal projection and extremely precise attacks. They have a thicker extremity and a more flexible pallet than Van Doren's Traditional series, and they allow greater vibration over a larger surface area with maximum elasticity. This type of vertebral column gives the musician much greater playing flexibility, as the resultant elasticity zone is very large. The Java Red will take your sound to a whole new level.